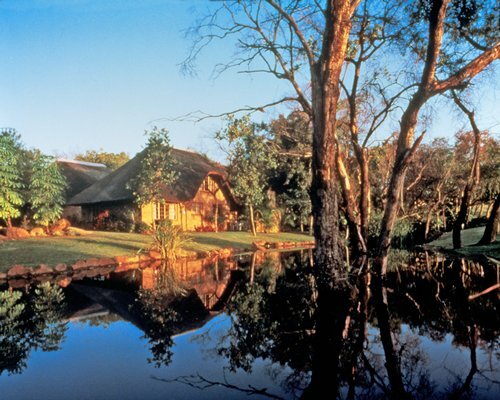 Il Kruger Park Lodge sorge nel cuore dell’incredibile landa selvaggia sudafricana, a un passo dal celebre Kruger National Park che, come l’intera area, vanta siti di interesse storico e archeologico, un’incredibile varietà di fauna selvatica e offre splendide viste della foresta incontaminata e bellezze naturali. 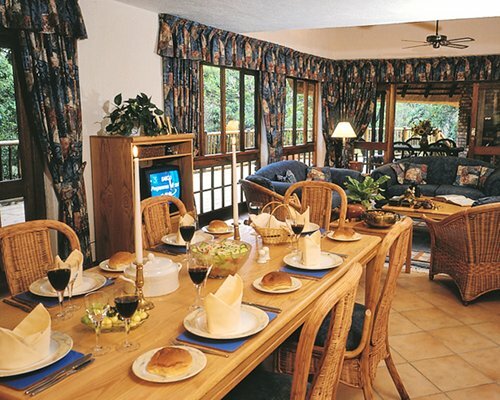 Potete decidere se andare in bicicletta, fare rafting sul fiume, concedervi un safari in una delle tante riserve naturali nelle vicinanze oppure rilassarvi nel residence con le sue strutture per praticare golf e tennis, nonché tre piscine e un ristorante dalla cucina raffinata. La sistemazione prevede appartamenti con una, due, tre e quatto camere da letto in grado di accogliere 4–8 persone, tutti con cucina attrezzata. 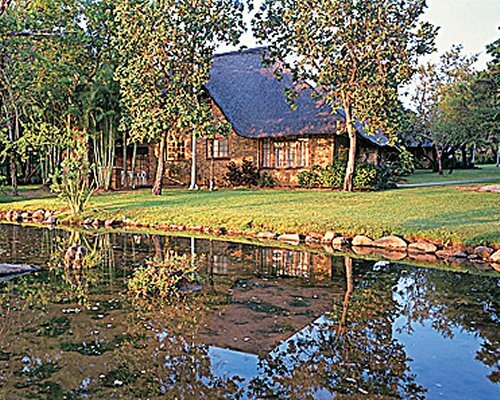 Kruger Park Lodge offers guests intimate or family-friendly cottages open to the river, golf course, or in the secluded woodland. 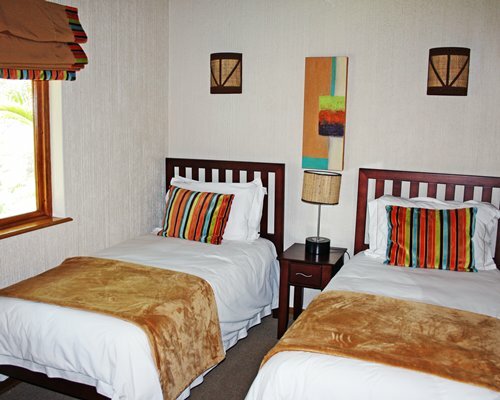 You can choose from two to four bedrooms, luxuriously appointed for romance or fun with the kids. 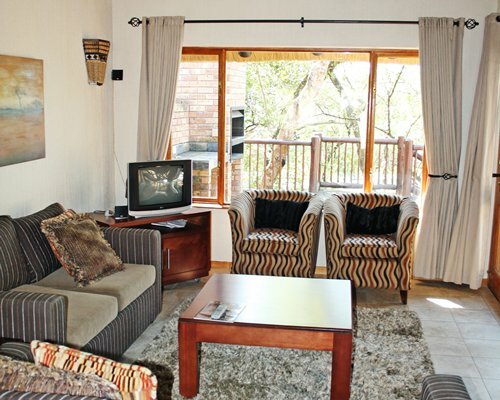 Every cottage has a kitchen and full bathroom, and there are spacious living rooms and dining areas. 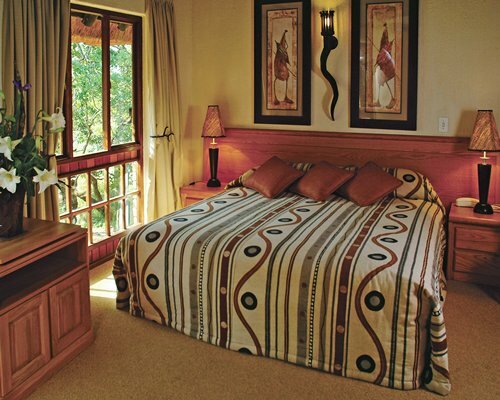 Interiors are decorated in modern African style for true mood and atmosphere. 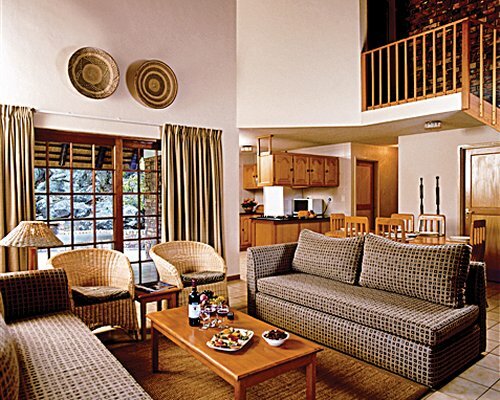 Enjoy the privacy, yet be a part of all the activities the resort offers, too. The views from your door are not to be missed. 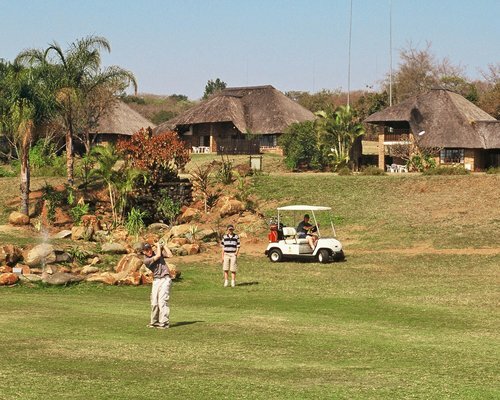 Kruger Park Lodge is in the beautiful Eastern Transvaal, close to world-famous Kruger National Park. Unrivaled for its diversity of life, this park─as well as the whole area boasts major historical and archaeological sites, an incredible variety of wildlife and vistas of incomparable pristine forest, and landscapes. 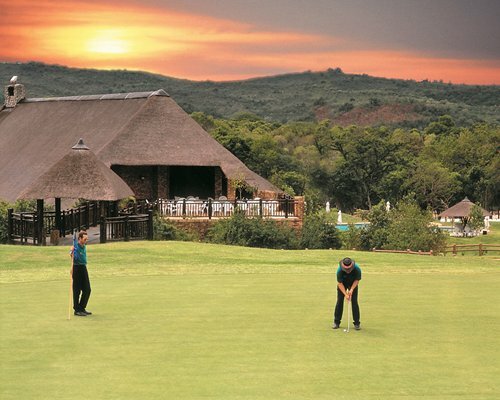 Stretching from hippos in the Limpopo River north to penguins waddling on the Cape, South Africa itself is unmatched for natural diversity and outdoor adventure… and also offers hot nightlife, fabulous cuisine, a mix of cultures, and the oldest wine industry outside Europe. From Johannesburg International Airport, travel on the R21 Witbank highway, it is the 1st turnoff at the exit of the airport. Continue on this highway towards Witbank N12. This highway joins into the N4 towards Witbank/Middelburg. 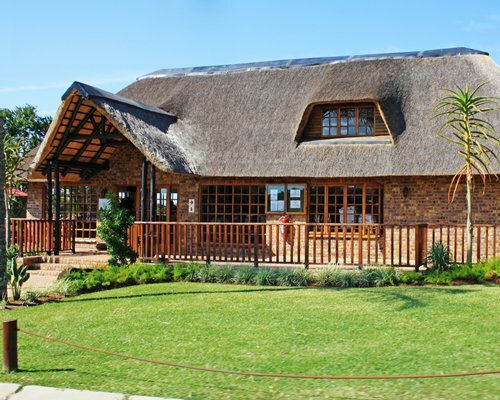 Travel through Middelburg towards Nelspruit. Take the R40 towards Whiteriver in Nelspruit. Turn left and continue towards Whiteriver, at the last set of robots turn left towards Hazyview/Kruger National Park (R40), at the Tjunction turn left towards Hazyview. At the second 4-way stop turn right towards the Paul Kruger gate (r53 6). the resort is situation on the left.